Ensure the proper camshaft position actuator is installed.Observe the body of the camshaft position actuator for the“EX” marking-(1). 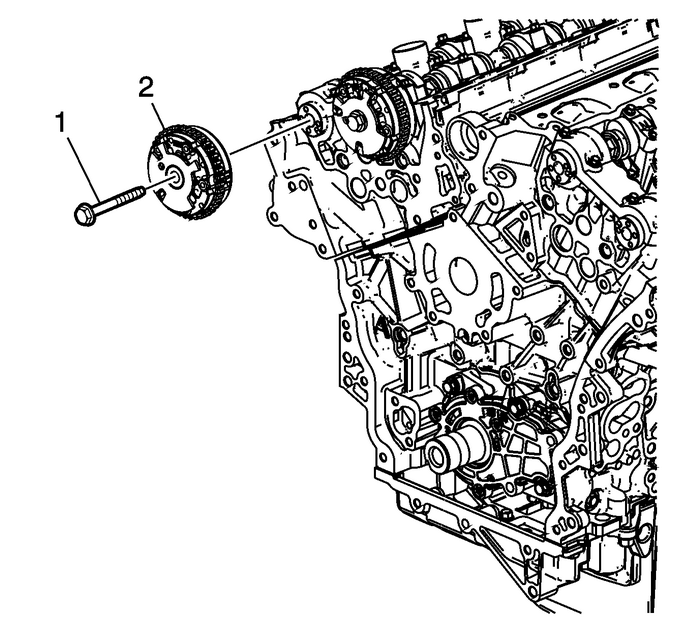 The marking is foran exhaust camshaft position actuator.Ensure the proper timing mark is used. 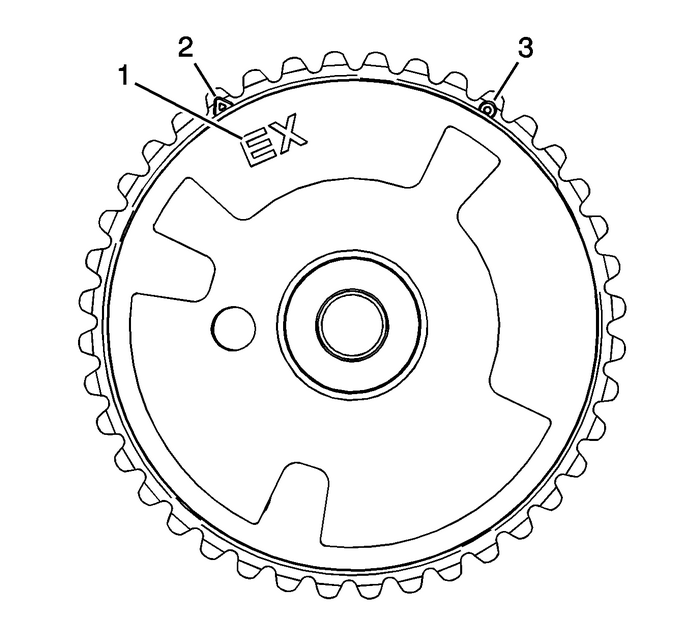 Observe the outer ringof the camshaft position actuator for the trianglemarking-(2). The marking is for alignment to thehighlighted timing chain link on the right side of theengine. Use an open wrench on the hex cast into the camshaft in orderto prevent camshaft rotation when tightening the camshaft positionactuator bolt. Apply a liberal amount of lubricant to the back of thecamshaft position actuator-(1) and front of the camshaftbearing cap-(2). Refer toAdhesives, Fluids, Lubricants, and Sealersfor recommendedlubricant. Install the right exhaust camshaft positionactuator-(2). 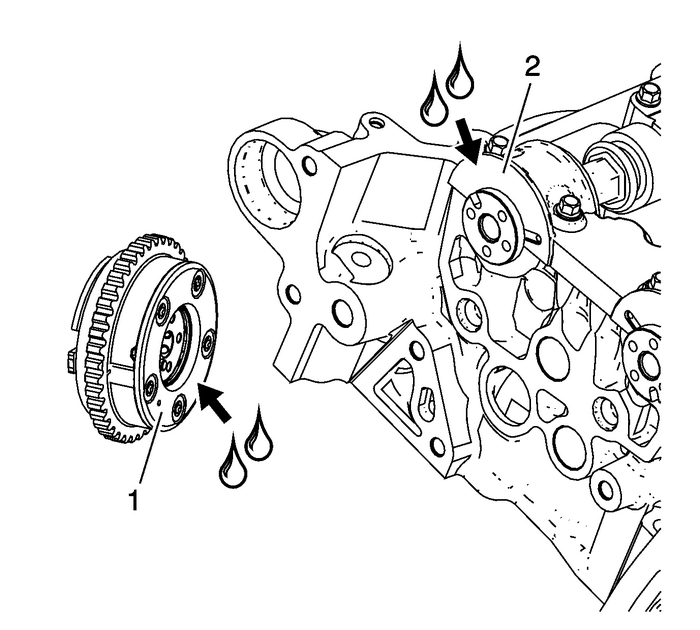 Install the camshaft position actuator bolt-(1)and tighten to58-Y(43-lb-ft).